Using essential oils as a form of aromatherapy is much more than just adding a wonderful scent to a room; essential oils can provide your mind, body, and soul with many benefits that you may not be able to get from somewhere else. What kind of benefits can it offer you? Well, that really depends on what you intend to use the essential oils for. The answer will be different for everyone. If you want to use the essential oils to improve the air that you are breathing while having a fresh-smelling room, then using the new ZAQ mirage diffuser will be the best choice. The ZAQ mirage diffuser will disperse a natural aroma into your home or any other place, and it will give you a better and healthy living environment. When a diffuser uses heat, it will typically go through those oils very quickly. When you use the new ZAQ mirage diffuser, you will not worry about going through an excessive amount of essential oils. You will get the wonderful smell and clean air without having to constantly refill your diffuser. This diffuser is also an essential means of purifying the air in the room. When your air is purified and sterilized, anyone who has a fever, a cold, asthma, or allergies can certainly benefit from the benefits of the diffuser. At Bombay Electronics, we understand the need for wanting clean air and a home that smells wonderful. This is why we offer the diffuser at an affordable price. When you use this ZAQ mirage diffuser, the essential oils will be broken down into small particles. With small particles, the oils have a better chance of making their way into your system so you can start to feel better quickly. Are you ready to start breathing better, feeling better, and having a home that smells fantastic? 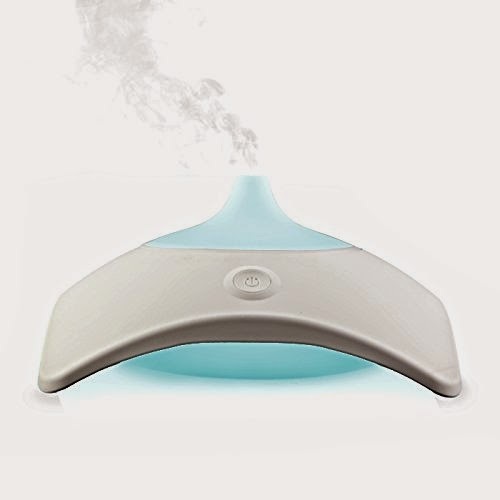 Contact us about our ZAQ mirage diffuser and any other products you feel are necessary for your purpose.